The BSC Team Skills Camp for all registered 14U and younger players will be held July 29-August 1, 2019. Mark your calendars. All BSC players 14U and younger are included in this camp. We put together a fantastic camp for learning. Many players are either new to the game or learning new skills all the time. The camp is designed to introduce the fundamental skills to new players needing to gain confidence and to challenge those children that have some exposure to soccer already. 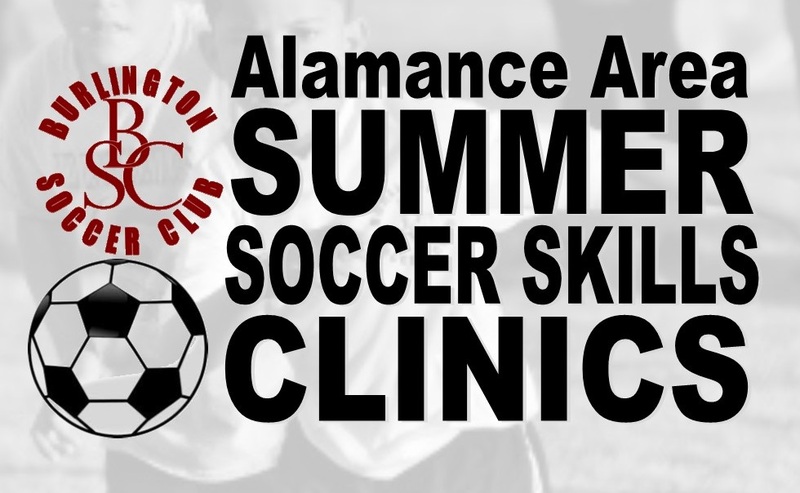 The camp features expert coaches from the Burlington Soccer Club Academy and Travel soccer programs, Elon University coaching staffs and Elon college soccer players. All there to focus on teaching skills to your child! Come join us for a fun filled soccer week! Ages 6 to 14 years. $45 per player; four evenings, 10 hours of instruction. Incredible bargain! The Burlington Soccer Clubs top coaches will work with you for the summer. Focusing on all soccer skills, primarily on goal scoring techniques and 1v1 dribbling skills. This 6 week program will help all players of any level and is open to all players in the Alamance county area. $95.00 for one session per week. You must choose the day, Tuesday or Thursday, and stay with that day each week. $165.00 for two sessions per week, Tuesdays and Thursdays. $65.00 for one session per week, Wednesdays only. The Burlington Soccer Clubs top coaches will work with the U6-U7 age groups on proper skills introduction. This 6 week program will help all players of any level and is open to all players in the Alamance county area. $65.00 for one session per week, Mondays only.